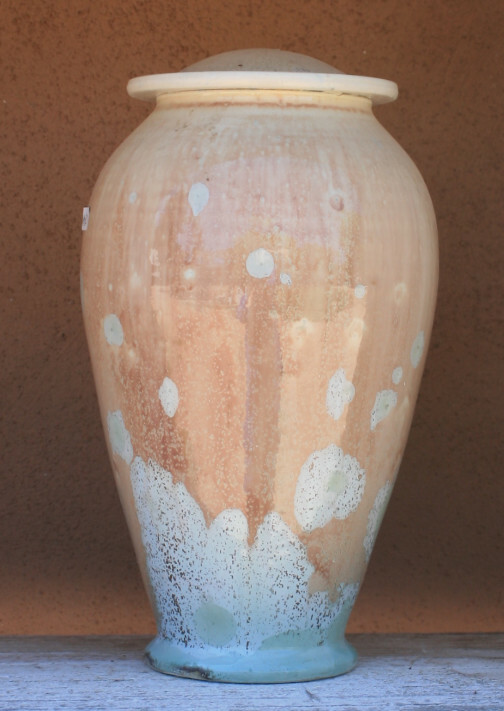 Each piece is one of a kind, glazed pottery. Every urn is unique and honors the special person to be remembered. Because each urn is hand made, colors and patterns may vary slightly. Top opening lid. I always have urns in stock but will also create to order. Call or email me if you wish to discuss purchasing an urn.